Unveiled after weeks of conversations, the legislation would create a tax of 26 cents per Seattle employee-hour on companies that gross at least $20 million in the city. Seattle City Council members have finally released draft legislation for a new tax on large employers that would raise $75 million next year to address homelessness. They say the tax on companies such as Amazon could build 1,780 new low-income apartments over five years and improve the lives of people on the street. Four of the council’s nine members have put their names to the bill released Friday and a fifth has expressed strong support. They say some of the businesses driving Seattle’s economic boom are also — by attracting high-wage employees to the city — driving up rents and home prices. “Seattle is a city of great prosperity that has experienced tremendous growth of its economy and population,” the draft legislation says. Unveiled after weeks of conversations, the legislation would create a tax of 26 cents per Seattle employee-hour on companies that gross at least $20 million per year in the city. There are about 500 such companies, representing an estimated 3 percent of city businesses, according to council staff. Nonprofits would be exempt. The employee-hours tax — sometimes known as a “head tax” — would apply in 2019 and 2020. In 2021, it would be replaced by a 0.7 percent payroll tax on the same category of companies. Not accounting for inflation, the payroll tax would raise the same amount of money as the employee-hours tax. The measure would be another revenue-raising move at City Hall. In recent years, the council has adopted new taxes on gun sales, sugary drinks and wealthy households — seeing the wealthy-households tax struck down in court. In 2016, voters approved a seven-year, $290 million new property-tax levy for affordable housing. 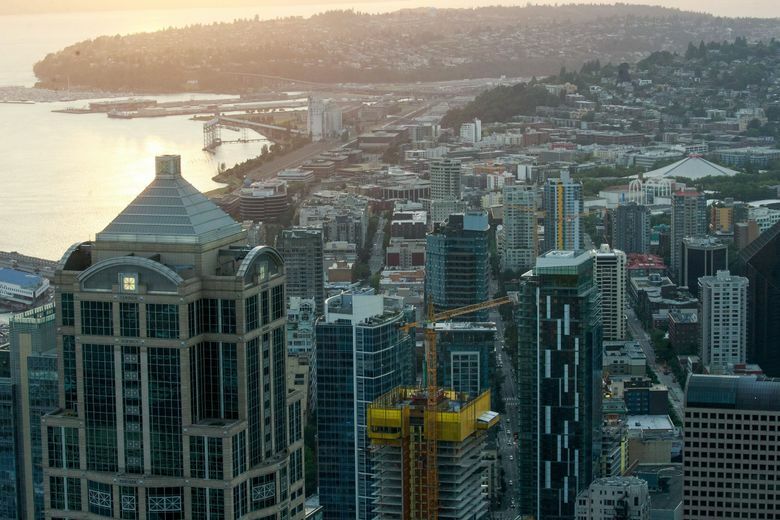 The Seattle Metropolitan Chamber of Commerce and Downtown Seattle Association have opposed the idea of a new tax on businesses, describing it as a “tax on jobs,” and have said companies are paying their fair share. Taxes already paid by businesses account for more than half of the city’s general fund, which has grown significantly, the groups said in a statement Friday, arguing the council cannot be trusted to spend wisely. “The current reality on the streets of Seattle clearly shows the City Council’s approach to the biggest crisis facing our region has been inconsistent and ineffective,” said the groups, whose members include businesses that would pay the new tax. Seattle would initially tax employee hours rather than payroll because the city has collected an employee-hours tax before and has systems in place to collect one again, council staff said. Councilmembers M. Lorena González, Lisa Herbold, Teresa Mosqueda and Mike O’Brien are championing the plan. Councilmember Kshama Sawant, who has been calling for an even larger tax, applauded the bill Friday. Five votes will be needed to pass the measure and six would make it veto-proof. The council could take a final vote next month. “It’s important for us to stand together as a City Council and I hope we’re able to persuade our other colleagues to join us,” González said. The council narrowly rejected a different head-tax proposal this past November. Under the new plan, the exemption for 97 percent of companies should help ease anxiety among small-business owners, Herbold said. The move to a payroll tax should lessen the burden on companies with low-wage workers and slim profit margins, González added. The council member has yet to see evidence the tax would spur job losses, she said. A resolution accompanying the bill says the city would spend 75 percent of the tax revenue to help build low-income housing, 20 percent on homeless shelters and services and 5 percent on administrative costs. Some of the money could fund hygiene centers, parking spaces for people living in vehicles and garbage pickup at encampments. Mayor Jenny Durkan would be involved in drawing up a more detailed spending plan. Durkan has expressed concerns about a new tax hurting small businesses but has said she’s willing to work with the council. “We need solutions that improve lives but do not harm our economy,” the mayor wrote in a letter to council members earlier this week. In 2015, then-Mayor Ed Murray declared a state of emergency for homelessness, but the estimated number of people without shelter has since increased. Seattle will spend more than $63 million to address homelessness this year, up from $39 million not long ago. Thousands of people moved into housing last year, but many others joined the city’s homeless population, O’Brien said. “This set of investments, I believe, is significant enough that we can start to see a reduction in the amount of homelessness, if the pipeline into homelessness doesn’t grow,” O’Brien said in an interview. “But this set of investments is not enough to solve the crisis,” he added. The council member said Amazon would pay something like $20 million a year. O’Brien said he doesn’t think companies will move employees out of Seattle just to avoid the tax. He said there will be more discussion in the coming weeks.